Believe it or not, the summer after you finish your junior year of high school is the best time to start thinking about senior photos! It might seem a little early in the game, but trust me – the earlier you start planning, the better! Start off by weighing your options. I’ve had many a senior find me through Instagram, Facebook, Google, and even Pinterest! When looking for a senior photographer, make sure you find a style you like – for example, do you prefer a bright and airy style, or more of a dark and moody one? Are you more into posed photos, more natural photos, or a mix? Your answers to these questions will drive the direction of your search! And don’t forget to look at reviews – you’ll be able to really find out what other people think by taking your time to search through reviews. Once you find a senior photographer that you love, make sure you contact them right away to reserve your spot! Senior photographers can be booked up to a few weeks to a few months in advance, depending on the time of year you’re looking to have your photos taken. 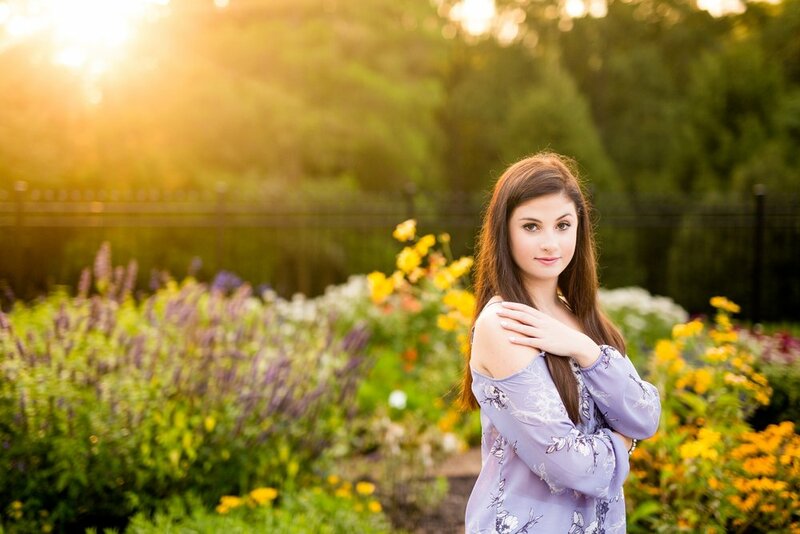 For example – in Western Pennsylvania, fall tends to book up to a few months out, so the earlier you contact your senior photographer, the better! After booking your photographer, it’s time to start looking for a location and choosing your outfits! More than likely, your photographer will be able to guide you to a location based on your preferences and style. Some might even help you out with choosing outfits! Personally for me, I love to give my seniors suggestions without controlling what they wear. To me, it’s always important a senior’s personal style shines through their photos! In addition, you’ll want to start considering appointments for professional hair and makeup, if it’s something you’re interested in. It can be nice to not have the added stress of making sure you look photo-ready on the day of your session. I love to suggest having photos done mid to late summer (post junior year) or sometime after the school year starts, but before the holiday season begins for senior photos. This way, you’ll have more than enough time to meet yearbook deadlines and use your senior photos for graduation announcements in the spring! Planning a senior photo session can be a bit overwhelming, but if you have a game plan from the beginning, you’ll have nothing to worry about! And even if you are on a bit of a tight deadline, it’s never too late to have senior photos taken!